Problem: You have hidden some folders in windows 7. But now you cannot unhide the hidden folder. Hide option is disabled in folder properties. Cause: Some virus on your computer have modified default registry value for folders. 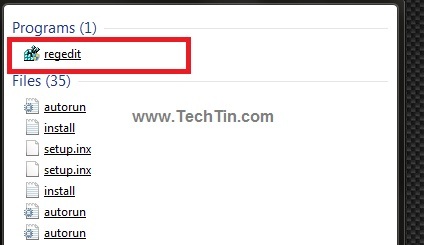 Click Start button and then type regedit in the Start Search box. 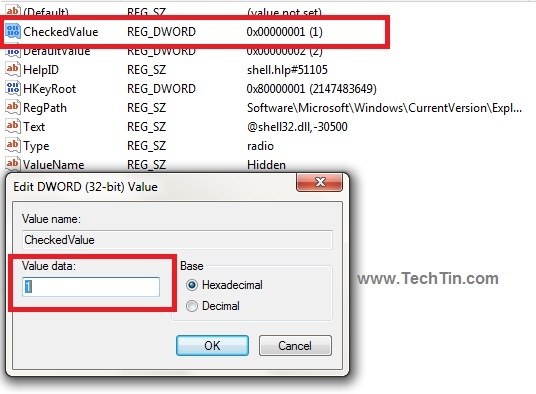 In the search results list, left click regedit to start windows registry manager. Double Click CheckedValue and enter 1 in the value data box. 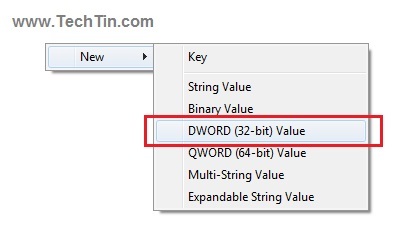 If there is no CheckedValue, right click in the empty area, and create a new DWORD (32 bit). You may need to restart your computer. You should now be able to un-hide hidden folders. Note: Your computer may still have some virus which can again change registry value. 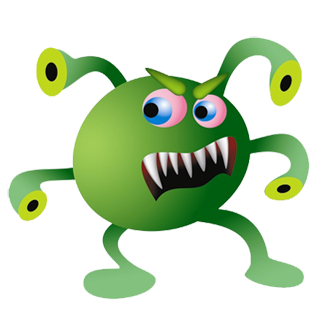 So, perform a full system scan with a good and updated antivirus.